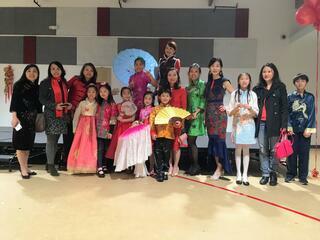 BASIS Independent Fremont’s 2017 Lunar New Year Celebration! All around the globe, more than a fifth of the world’s population celebrates Lunar New Year, a public holiday in China, Hong Kong, Macau and nine other Asian countries. At BASIS Independent Fremont, parents, teachers, students, and guests enjoyed a “great cultural experience for the entire family” with a Lion Dance, Magic Face Changer and magic show, traditional Chinese folk music, a Kung Fu performance, a Chinese folk dance, and a Lunar New Year fashion show. The show was an hour-long festive kaleidoscope of performances. 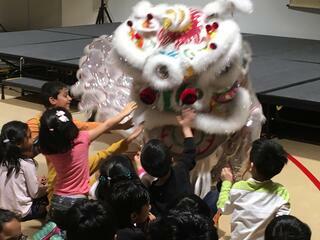 The Buk Sing Kung Fu Academy delighted the audience with a high energy Lion Dance. The Lion symbolizes power and good fortune in the Chinese culture. The Lion Dance chases away bad fortune and ushers in positive energy for the New Year. It is fortunate to have the Lion dancers pause and bow to you or your business. 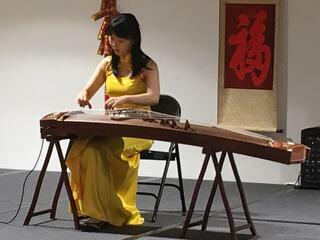 Following Dr. Zhang, were Cici Wan and Jessica Wu performing traditional Chinese folk songs on the Zheng, a string instrument, that rests on two pedestals and is played using 3 to 4 imitation fingernails. The Kung Fu show was performed by Dragon Rhythm and Shaolin Kungfu, a form of Chinese martial arts that combines physical discipline and movement with Zen meditation during extensive practice with Shaolin boxing and traditional weapons. 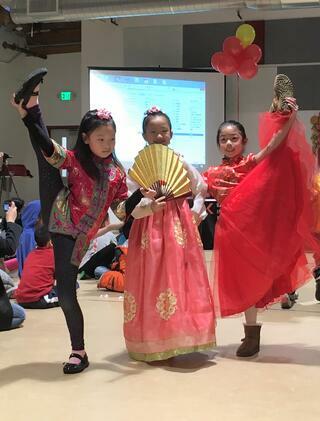 The show concluded with a modern interpretative Chinese dance and a traditional fashion show by our very own BASIS Independent Fremont students. If you were not able to attend the show, please watch the performance below.